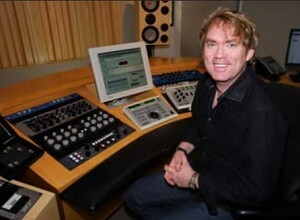 Mark B. Christensen, studio owner and chief engineer of Engine Room Audio in New York City, has one of the most formidable resumes in the industry, with clients that include Lady Gaga, The Killers, Trey Songz, 50 Cent, The Ting Tings and a score of other famous artists from across a vast range of musical genres. Christensen’s knowledge and expertise have helped make Engine Room Audio one of the busiest recording studios in the world. But that’s not all. Christensen also happens to be one of the Recording Connection’s most celebrated mentors. This week during a 3-hour meeting with Brian Kraft, Chief Academic Officer of Recording Radio Film Connection, the expert mentor shared news about the remarkable success his apprentices and graduates have been having once they’ve completed their audio engineering and music production programs. A big believer in promoting from within, a number of Mark’s apprentices have gone on to fill assistant engineering and even full-time positions at Engine Room Audio. When former apprentice, Nacor Zuluaga started in 2012, he spoke no English. Today, thanks to Christensen’s expertise and the Recording Connection’s hands-on learning approach, Nakor is now a full-time engineer at the very same studio where he trained (and learned English!). Speaking of Nakor, Christensen says, “He is the best assistant I have ever had.” That’s saying a whole lot considering those words are coming from one of the music industry’s most sought-after and adept chief engineers. Kudos to Mark B. Christensen, Nacor, and everyone at Engine Room Audio for proving why the mentor-apprentice approach is the best way to get started in the recording industry!